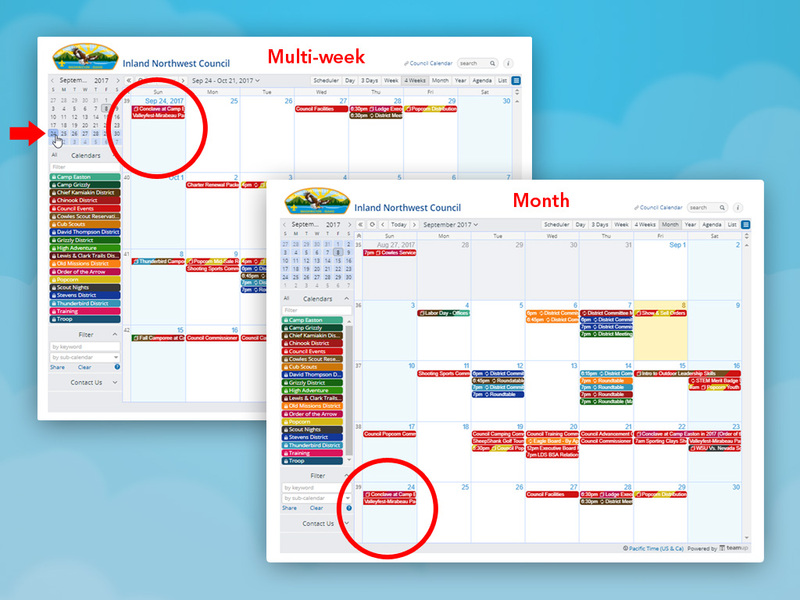 The multi-week view shows four weeks starting from Today’s date. In the Monthly view, the calendar will show one full month, from the first day of the month to the last. In the Multi-Week view, the selected date (for many the default is today) is always on the first row, showing the future four weeks from that date onward (note the mouse on Sept 24). In the image above, you can compare the Multi-Week view to the Month view on the right.